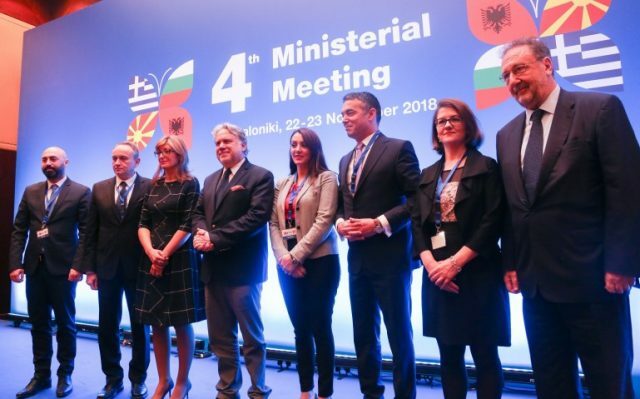 THESSALONIKI – On Thursday and Friday, 22 and 23 November, the Fourth Ministerial Meeting between Greece, Albania, Bulgaria, and the Former Yugoslav Republic of Macedonia was held in Thessaloniki. Ministers of Foreign Affairs and Ministers of Economy and Development of the countries took part. On behalf of Greece, the Alternate Minister of Foreign Affairs, Giorgos Katrougalos, presided over the proceedings. 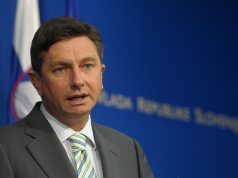 Discussions among the Ministers of Foreign Affairs have focused on the issues of common interest, as well as on developments in the wider region, while emphasis has been placed on cross-border cooperation and regional coordination in face of the challenges that lay beyond each country’s borders, such as those resulting from the continued instability in the Middle East. 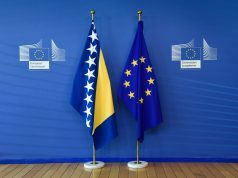 The issues of the European perspective of the Western Balkans and the future of Europe have also been discussed. During their meeting, the Ministers of Economy and Development have investigated ways to further strengthen the outward-looking nature, energy cooperation, and connectivity of the four economies through improvement in infrastructure and the use of digital technology. Minsiter of Foreign Affairs of Macedonia Nikola Dimitrov emphasised that his country’s choice is to develop good neighbourly relations. 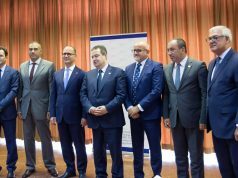 He reflected on Macedonia’s efforts to change its name as a contribution to regional stability and prosperity. 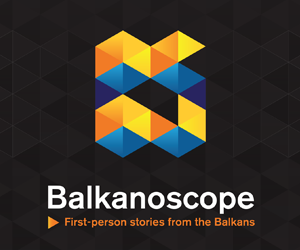 Dimitrov also held bilateral talks with his Bulgarian colleague Ekaterina Zaharieva, as well as the host, Minister Katrougalos.